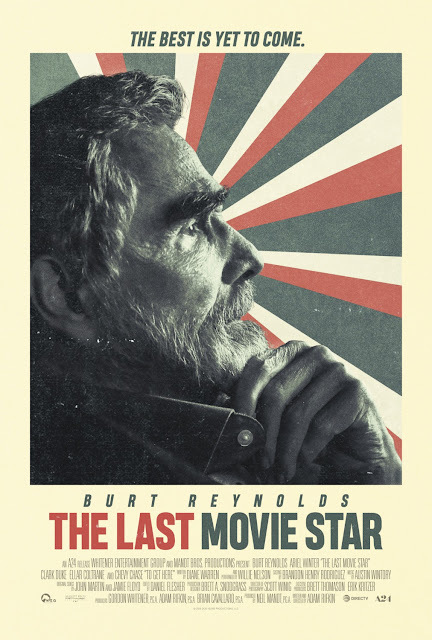 Movie: "The Last Movie Star"
An aging actor is invited to a film festival in Nashville, Tennessee and is to be presented with a lifetime achievement award. When the festival is not at all what he expected, he takes the time to reflect on his life up to this point. Many movies about aging and aging actors have been made over the decades. Earlier last year, we had the film "The Hero," which starred Sam Elliot and strongly reflected Sam Elliot's career. "The Last Movie Star" is the latest film about a maturing actor that mirrors life very closely. It is written and directed by Adam Rifkin and stars Burt Reynolds. Eerily enough, just like "The Hero," this film has strong reflections of the actual career of its lead actor. Reynolds doesn't play himself, he plays an actor named Vic Edwards. Much like Burt, Vic was a big box office star for some time, though he never received much critical acclaim or love from awards ceremonies. Now a sad, lonely old man, Vic receives an invitation to a film festival in Nashville, Tennessee where he is to be presented a lifetime achievement award, which he reluctantly accepts. We *know* this sounds exactly like the same premise as "The Hero," but we swear it's different. Once in Nashville, nothing is quite what Vic expected. The festival turns out to be exceedingly low-rent. It is held in a shoddy looking bar and is being put on by a handful of superfans. This only serves to further emphasize Vic's fall from grace as a superstar. This sends him on a journey of personal reflection as he takes a trip down memory lane with his personal assistant Lil (Ariel Winter), the younger sister of the ringleader of the festival (Clark Duke). Hollywood loves stories about Hollywood. Hollywood also loves stories about aging and aging in Hollywood. When you are a refined actor known for performing nuanced characters, maturing in Hollywood doesn't seem so bad as there have been countless actors and actresses who worked well into their golden years. For leading actors who are known for their screen presence and good looks more than their awards-level-acting, getting older and losing your looks can be the death knell. Such is the case for Burt Reynold's character Vic Edwards, and perhaps by extension Reynolds himself. "The Last Movie Star" is clearly a passion project for writer/director Adam Rifkin, who mentioned being a huge Burt Reynolds fan at the San Diego International Film Festival. Rifkin wrote this movie specifically for him. We have heard some call this Reynolds' best role, one that this could have garnered him Oscar attention. We wish we could say we agree. Burt Reynolds is good in this film, but he's still just Burt Reynolds doing his best Burt Reynolds impression. That may be because the line between Burt and Vic is so blurred that we don't see a character called Vic Edwards at all. 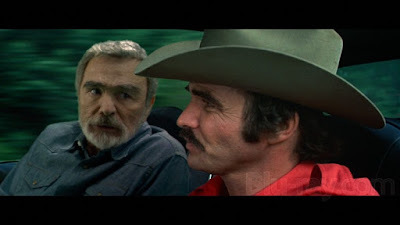 While watching this, we only ever saw Burt Reynolds playing himself. This may be partially Adam Rifkin's fault. He made the decision to take Burt's most iconic roles and use them as clips in the film to try and pass them off as part of Vic Edwards' career. It's hard to convince an audience that one of the most famous clips from "Smokey and the Bandit" or "Deliverance" is anything but that. You can't convince us these are some random Vic Edwards movies. At the very least, Rifkin should have dug into the vault and found some not-so-iconic clips to use. This is really our biggest qualm with the movie. The acting is good all around, with the exception of Ellar Coltrane's performance. Coltrane has always been a stiff actor and doesn't seem to be improving much. His delivery needs some serious work. Ariel Winter is a bit over-the-top at times, but for her character, it also kind of works. 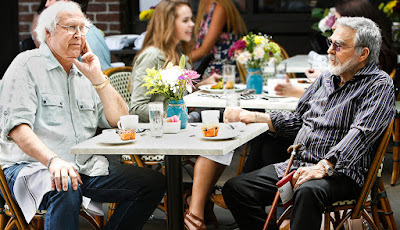 Much like "The Hero," "The Last Movie Star" is just alright despite the hype that it had straight out of awards shows like the San Diego International Film Festival, where we saw this film last year. It doesn't do enough to distinguish itself from the hundreds of other flicks just like it, and even the acting isn't anything to write home about.